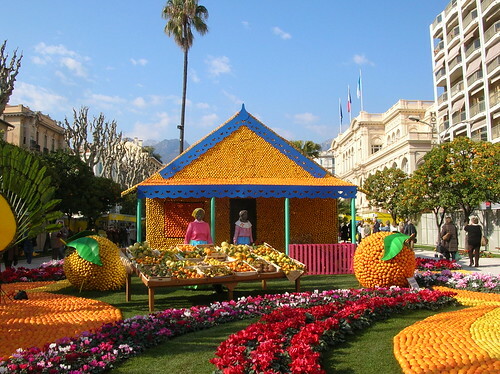 Lemon Festival (French: "Fete du Citron") is a major thematic festival in the town of Menton, French Riviera, France and takes place at the end of each winter in February/March. 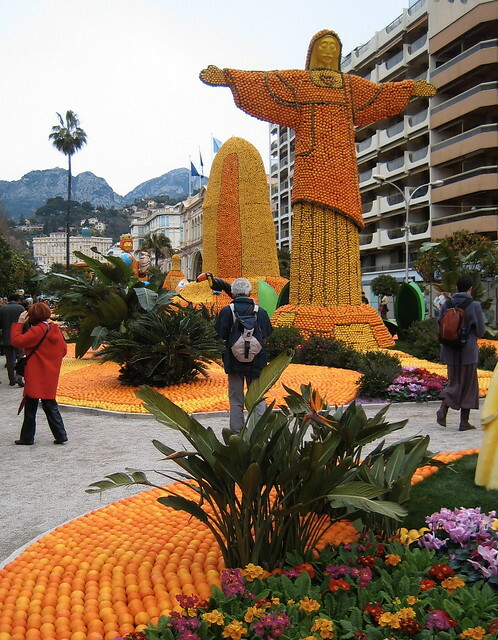 Menton is a major producer of citrus fruits and the tradition of holding a lemon festival was started in 1934 to develop tourism. 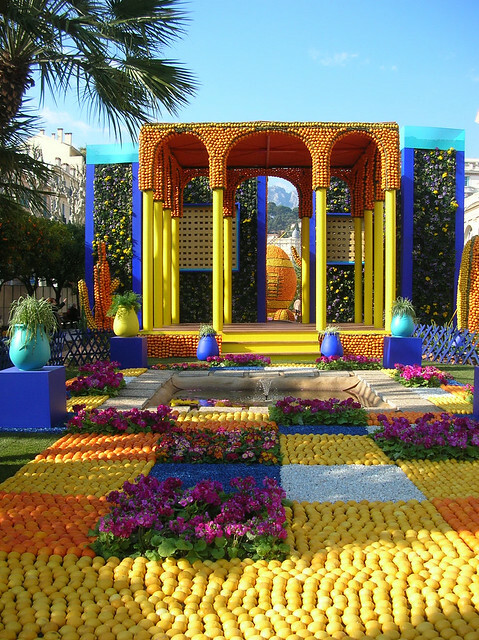 The Jardin Biovès and nearby areas are decorated with theme-of-the-year sculptures and models of famous buildings, made from lemon and oranges. 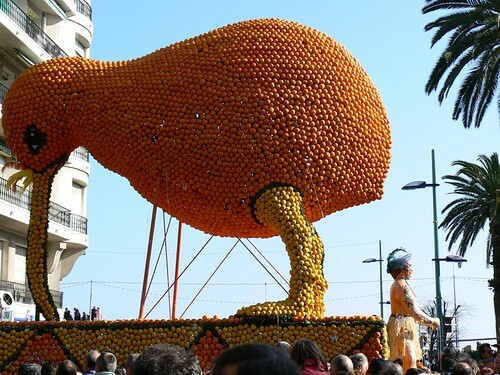 In addition floats along with musical bands and dancers also parade the town's main sea front 'Promenade du Soleil'. 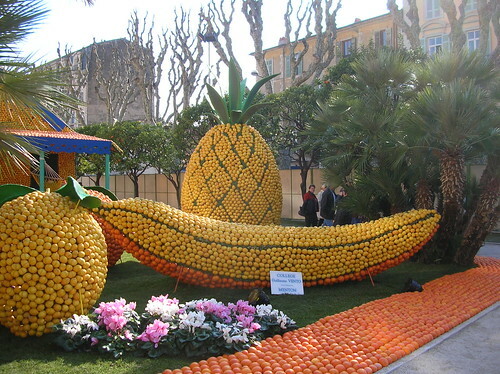 Each year more than 300 professionals use about 145 tons of citrus fruits to make beautiful works of art. 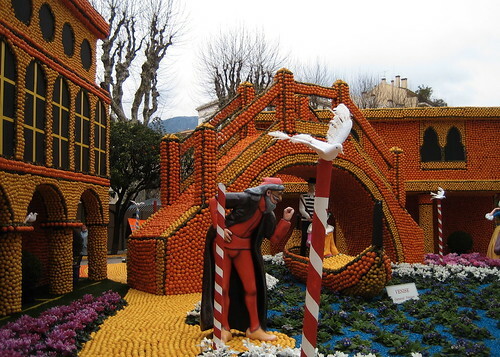 The past themes included but were not limited to; Jules Verne (1982), Wonders of the World (1988), Alice in Wonderland (2003), Viva España (2005), Brazil (2006), India (2007), Great Civilizations (2011) etc. 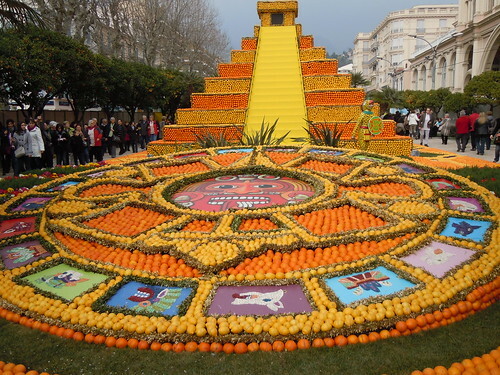 Theme for year 2012, which will be held from February 17 to 7 march, 2012, is "King of Sport". 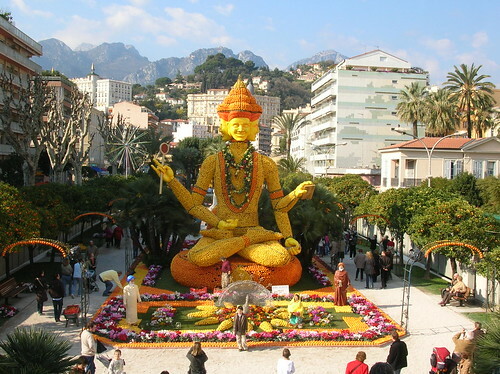 The festival which is claimed to be unique in the World is a big tourist draw and is watched each year by several thousand (estimated 250,000) visitors to the town. 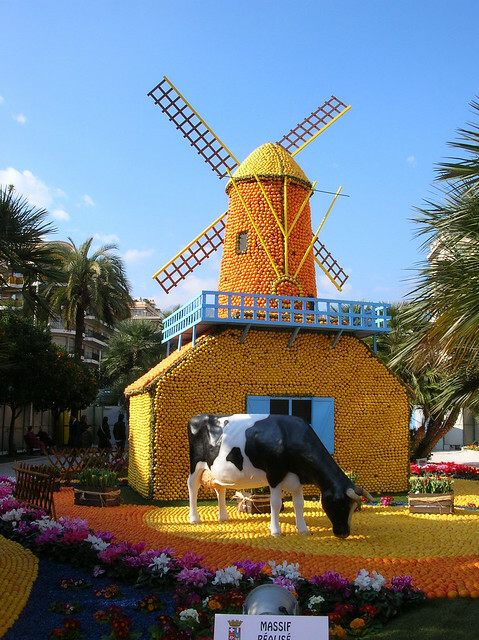 Some more images can be seen in this album. 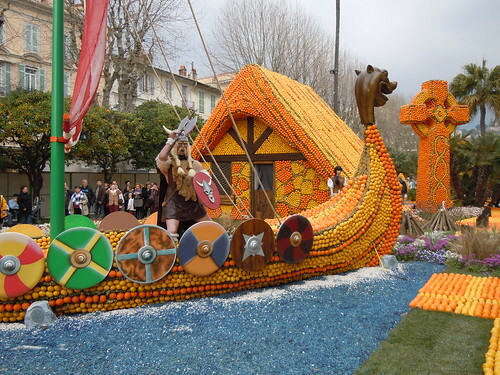 Credits: Special thanks to Noisette, Master Guide, GEC Forum, for forwarding me images and links about this beautiful event. Thank you Noisette - Friends like you keep my travelogue going!